Remember that exciting announcement Microsoft had made about being able to assign a disc to your Xbox Live account and play it on any Xbox One console? The one which caused massive confusion, panic, and chaos amongst the Internet, forcing Microsoft to pull it back a week later? The PlayStation 4 has a similar function available for digital games. Any PlayStation 4 game bought digitally has the ability to be played from any console. A simple login from anywhere in the world grants access to the user's entire digital library. Disc based games are still tied to a physical product and won't be included in this. Sony Engineer Neil Brown says with Official PlayStation Magazine UK quite simply that "You can visit your friend's house, you can log into your account and play any game from your digital library." Despite sounding a lot like Microsoft's failed DRM plans, the Xbox One still has the exact same policy available for any game bought through Xbox Live. Digital games can still be played anywhere in the world, just not ones bought on a disc. Brown also explains that the feature is useless if gamers have to download the entire game on each PlayStation 4 console, so that is not the case. A similar system also works on Blu-ray, chunks are automatically copied to the hard drive in the background. This means that after the first few minutes your game can rely on having faster read speeds from the hard drive. Which provides a better experience for players, and this is a completely background process for the player. They don't have to wait for anything to install before playing the game. 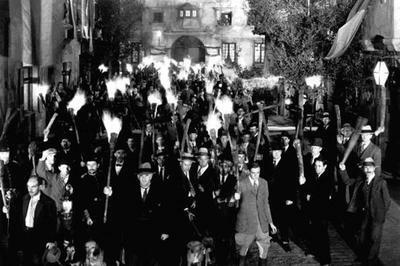 Pitchforks? Torches? Anyone care to take a swing at these oppressive Sony policies, or are we okay with digital games being treated this way, and just not physical games? At any rate, what's most amazing about this news is not the news itself but how clearly and effectively Brown is able to sell it. No confusion, no skirting around, no "potential scenarios." Pure, quick, and effective way to positively portray a function of your console without massive damage control. Well played Sony Engineer Neil Brown. You are a master orator.